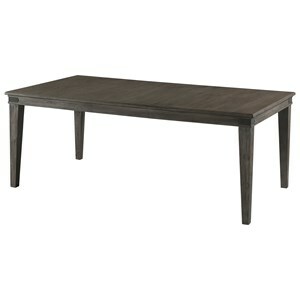 Feature this dining table with four tapered legs in your dining room. 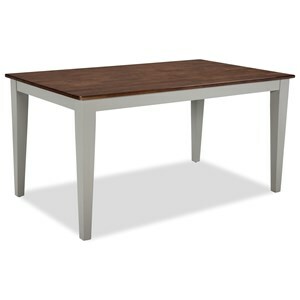 The oak table is framed in solid oak with an inlaid oak veneer panel, eliminating cross grain cracking or warping. Two 18 inch refectory leaves are features to extend for extra guests or special occasions. 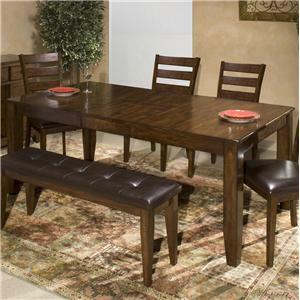 Pair with the dining Windsor arm and side chairs and bench to complete the look of this dining room table. 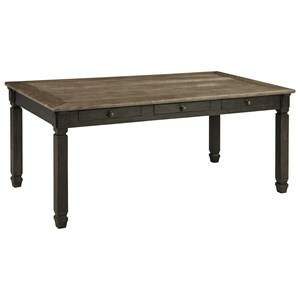 The Rustic Traditions Dining Table with 4 Tapered Legs by VFM Signature at Virginia Furniture Market in the Rocky Mount, Roanoke, Lynchburg, Christiansburg, Blacksburg, Virginia area. Product availability may vary. Contact us for the most current availability on this product. Leaves Two 18" refractory leaves extend table from 72" to 108". Case Construction Sturdy design and construction. Finish All hand distressing with rustic finish provides lasting beauty. 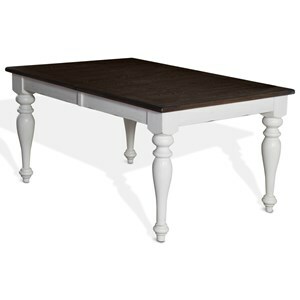 Finish & Paint Options All pieces in this collection come in a rustic medium oak finish. Handles & Hardware Antique metal handle pulls on all doors and drawers. 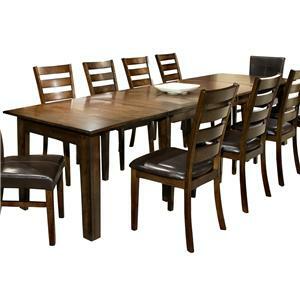 The Rustic Traditions collection features office, dining, bedroom and home theater furniture that is constructed of solid oak and oak veneers, all hand distressed with a rustic medium finish that provides lasting beauty. Stylistic touches, including antique-style bubble glass on the bookcase hutch and antique metal handle pulls on all doors and drawers, add an air of casual sophistication while features like drop-down keyboard drawers and computer tower storage make the Rustic Traditions collection a highly functional office solution. 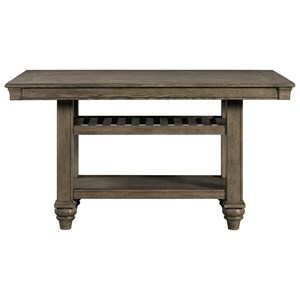 This Rustic Traditions dining collection established the mood for gracious entertaining. Whether your dinners are grand family affairs, or intimate gatherings, everyone will feel welcome. 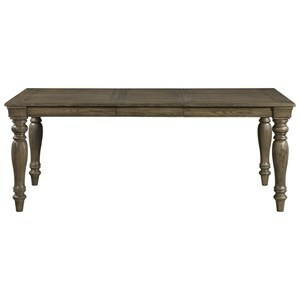 The unique hand-distressed finished and antique detail will most certainly add comfort to your event. The Rustic Traditions home entertainment collection established the mood for comfortable relaxation. Whether you're watching a classic film or the evening news, you will certainly feel at home with the these entertainment centers. With style and organization in mid, your will be content to spend many evenings right at home. Bring home the Rustic Traditions collection and welcome all it has to offer with it's dining, living room, bedroom and entertainment furniture. The Rustic Traditions collection is a great option if you are looking for Cottage furniture in the Rocky Mount, Roanoke, Lynchburg, Christiansburg, Blacksburg, Virginia area. 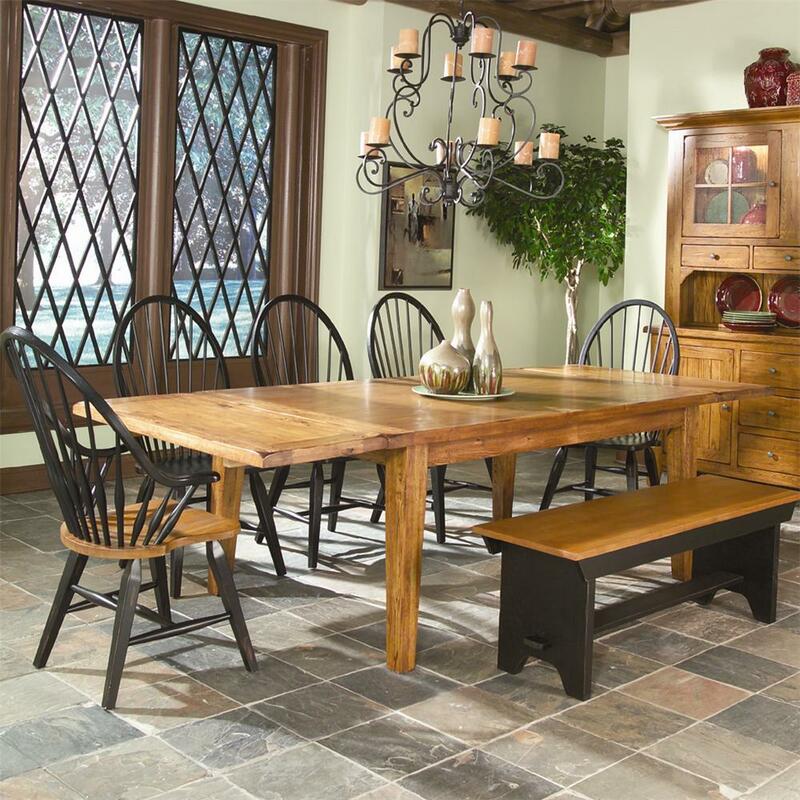 Browse other items in the Rustic Traditions collection from Virginia Furniture Market in the Rocky Mount, Roanoke, Lynchburg, Christiansburg, Blacksburg, Virginia area.